The finest of fast cars, this is what it is referred to as, will now be available for its fans across the globe but wait, here is a cache. 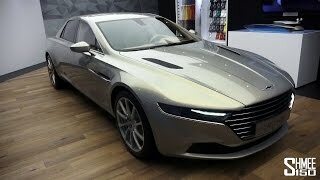 The company has decided to bring out the Aston Martin Lagonda Taraf 2015 with just 200 production units, yes grab it as soon as possible. The luxurious Lagonda created new benchmarks with its release in Middle East and now looking at the success with its limited series production of 200 bespoke limousines is all set to create wonders. But here being a car lover we all want to know what all is offered in this new release. 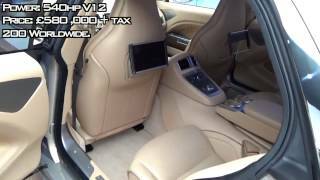 Bespoke is known for its classy work and the knock of Aston Martin Lagonda Taraf 2015 enlightened the cabins of other Aston Martin projects as well. The model is based on flexible VH architecture especially the cutting edge engineering techniques, being precise naming the carbon fiber body panels would be appropriate. Hand-built by the finest craftsmen the model showcases the extreme dedication of the company towards the model. The company very well took care of the saying, ‘Choice differs with people’, planned to be out through the Aston’s VIP sales program the company offers personalizing option via the popular Q by Aston Martin bespoke service. What enthralls streets with the glory? 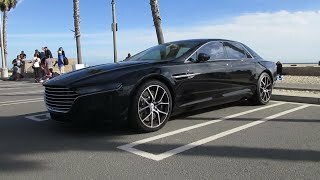 The Aston Martin Lagonda Taraf 2015 gets its power through a 6.0 liter V12 engine fitted under its world-class designed hood. Though the power specifications and the technical details are not yet shared by the company but the buyers must feel ensured to rule the streets with its limited 200 production units. With your leg over its fine designed pedal you will see the outer world moving away just like any film role passing with a blink. 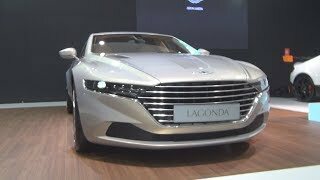 As far as price of Aston Martin Lagonda Taraf 2015 is concerned, as we mentioned earlier company has decided to bring its 200 limited production units through its own designed VIP sales program and thus the price and the features (which also to a lot extent can be modified) are still a fable with several questions and answers. Well all we would say is whatever it and which ever way it goes, the iconic Aston Martin Lagonda Taraf holds all rights to create its own gleaming boulevard.